Why Install Fire Shutters at Your Business Premises? No matter which way you look at it, a fire can be absolutely devastating for any business, so ensuring you have the correct safety procedures and equipment in place in your building is key. Above all, protection for your business, your property, and any staff or customers inside is the most important thing here. Our range of fire shutters go through rigorous rounds of safety tests, and are tested for up to 120 minutes. In the event of an emergency, you can rely on the fact you have the absolute best in quality protection in place, helping you to follow fire safety procedures if necessary, in plenty of time. Many insurers will insist on some sort of fire-resistant equipment installed in your business. 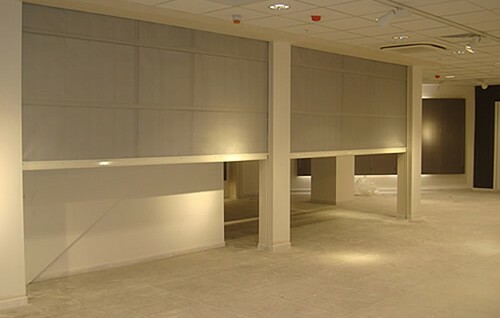 In addition to legal reasons, and the standard legal requirements for any business, your insurance quotes may benefit from the addition of a fire shutter in your business, as it shows you as extremely responsible and aware of the dangers. Installing fire shutters will provide safe exits within your property, too. Having these means you can shut them with ease in the event of a fire, and evacuate any staff or customers inside to safety via another exit. Our fire shutters will keep any external fire at bay for the specified time. More and more businesses are realising the need for fire shutters and safety doors alike in the present day. By having a fire shutter or fire resistant shutter installed, it helps your property appear even more professional, and is likely to deter criminal activity, too. Not only do they protect your property in the event of a fire or emergency, they also protect it from the elements. If you would like to find out more information about security shutters in London, fire shutters in London, and security doors in London, get in touch with a friendly member of our team today by calling 0845 644 1225 or emailing sales@abacusshutters.co.uk and we will be happy to help.